It's Day 2 of Red Lip Week! Today we've got Clinique Pop Matte Lip Colour in Ruby Pop. This bills itself as a lipstick and primer in one. I've never really used a lip primer, but it's supposed to smooth the surface of the lips and aid in application and lasting time. 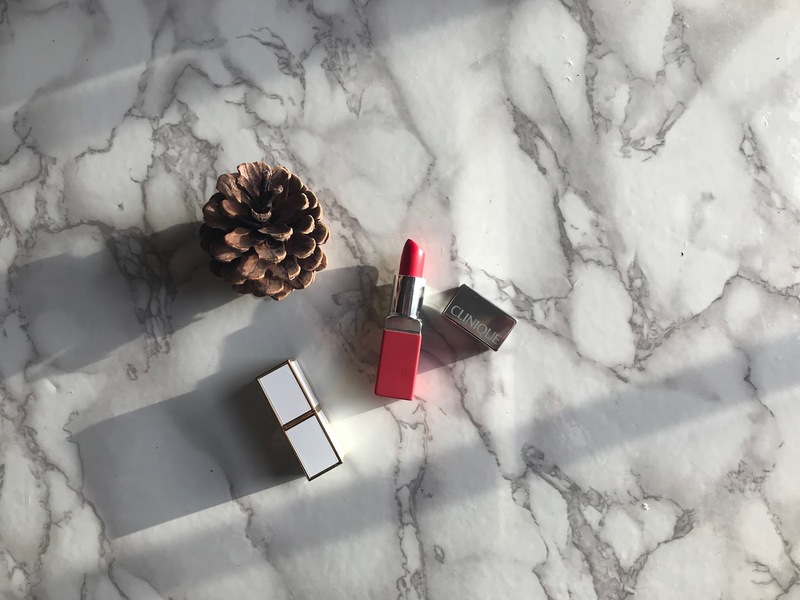 Clinique Pop Matte Lip Colour in Ruby Pop is a cherry red that leans ever so slightly orange in certain lights. The bullet is pointed at the top, so its easy to apply and line your lips at the same time. 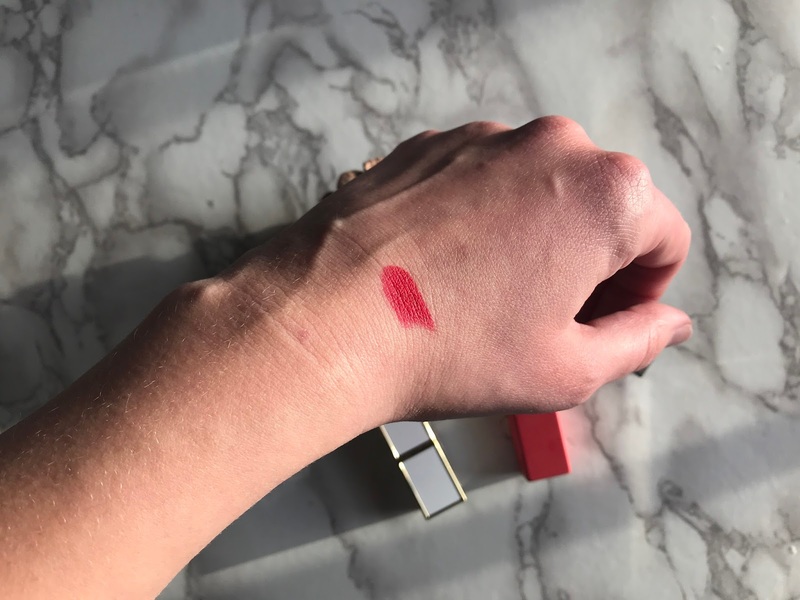 Definitely quicker to apply than the Fenty Beauty Stunna Lip Paint. When I've got dry lips, this does cling onto my dry patches, so that's something to bear in mind. Most matte lipsticks do this, however, so I was expecting that. It is a true matte with no hint of gloss. Now...for the Holiday Feasting Test. The lipstick lasts for a really long time and if you weren't eating, I don't think you'd need to touch it up throughout the day. But I'm a grazer and am constantly snacking. After lunch, this lipstick definitely needed touching up. It had stayed in place on the edges of the lips, but had pretty much completely gone in the middle of the bottom lip. It's pretty easy to reapply and layer up, but it isn't nourishing, so my (super dry) lips felt drier throughout the day. It's a gorgeous cherry red that will look best on people with slightly warmer undertones and skin tones. Wear time is good, although you'll need a touch up after a meal. I think this would be a great day-time red because of it's bright, cherry colour. I certainly wouldn't say the primer element of the lippie makes a huge amount of difference.